Jainism is a dharmic religion (that also includes Hinduism, Buddhism, and Sikhism). Popular for prescribing non-violence against any living being and believes that every living soul is divine. There have been 24 Jain Tirthankars, lord Mahavir being the last of them on whose notes the foundation of Jainism is laid. 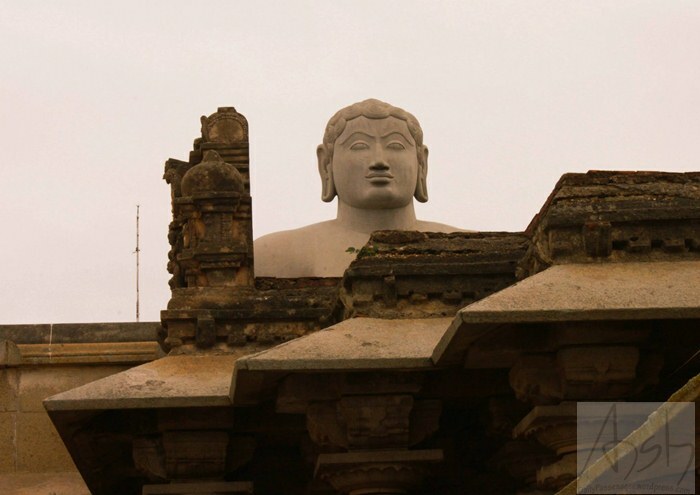 Shravanbelagola is one of the most important Jain pilgrim centre situated in Hassan district and around 158 km west of Bangalore. After conquering almost the whole Indian subcontinent Chandragupta gave up his throne and became an ascetic follower of a Jain monk. 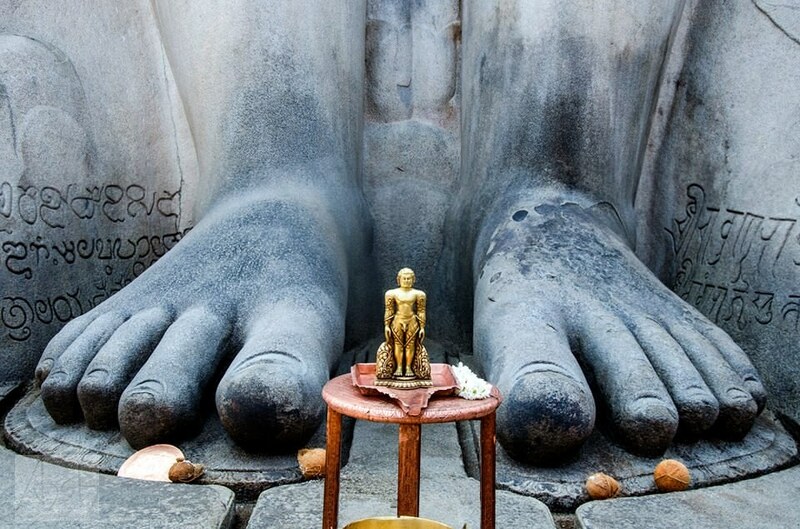 Within a cave at Shravanabelagola he ended his life in sallakhana which is the religious ritual of voluntary death by fasting. Also these are the hills where Chandragupta Maurya defeated the armies of Alexander. Various inscriptions have been found at this site and are dated from 600 to 1800. The statue itself was erected around 981 AD. Some of these inscriptions attest to the rise and power of a succession of regional empires, including that of the Vijayanagar kings who ruled in nearby Hampi from around the 1300s to mid-1500s. 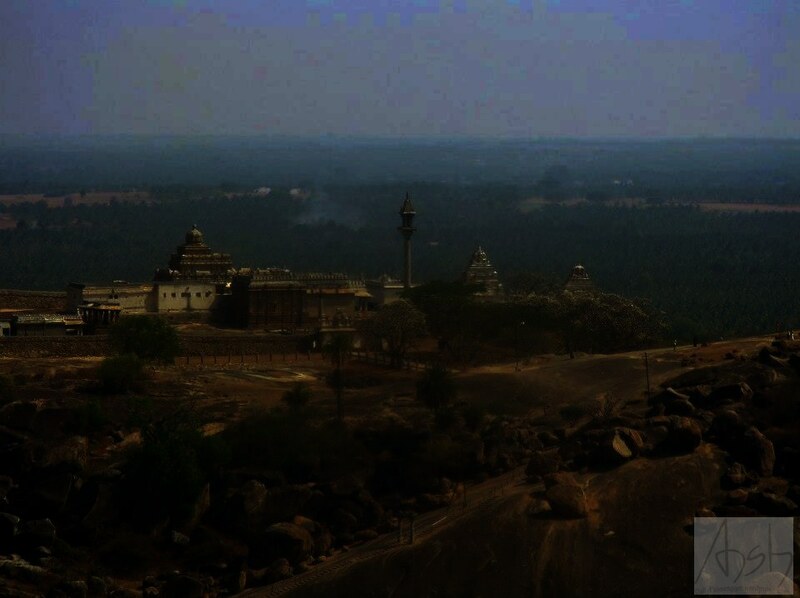 On top of the hill called Vindyagiri stands monolithic statue of Bahubali, referred to as “Gommateshvara”, built by the Ganga dynasty minister and commander Chamundaraya. It’s 60 feet (18 m) in height is a place of great importance for Jain pilgrims. I reached Shravanbelagola from Hassan and had to climb several stairs while sun kept shining over my head followed by mild drizzle. The view that one gets from the top of the mountains is worth the climb. The peace and the tranquility in this area is totally different from rest of the temples surrounding this area.